Santiago is a large, provincial city 90 minutes from the coast. Students on the co-sponsored Liberal Arts semester program enroll in a combination of CIEE courses alongside other U.S.-based students and courses with Dominicans at the Pontificia Universidad Católica Madre y Maestra. Students may opt to enroll in a service learning or a Teaching English as a Second Language course for additional cultural immersion. Course Equivalencies: Please see the Santiago DR-CIEE course equivalency list for program enrollment requirements and a list of IU course equivalencies that students have received in the past. Airfare, other meals, personal expenses and vacation travel additional. Initial prepayment of $500 due April 1, 2018. * Special discounted CIEE fee for IU students. 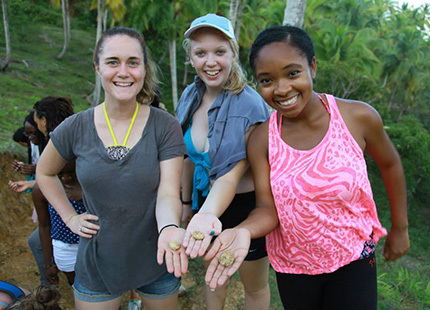 Program qualifies for need-based CIEE Overseas Study Program Specific Scholarships. Applications should be submitted to Overseas Study at the time of program application. Airfare, visa fees, personal expenses and vacation travel additional. Initial prepayment of $500 due October 29, 2018.